(CN) — The fourth nor’easter in three weeks began moving in the mid-Atlantic States Northeast Wednesday, packing high winds and the potential of dumping a foot or more of snow from Virginia to New England. The storm, arriving on the first full day of spring shuttered Washington, D.C. and courts, schools and business up and down the east coast, while causing the cancellation of thousands of flights at airports in the fearsome weather’s path. In Washington, where federal and city government offices closed for the day, the U.S. Supreme Court remained open, with the justices considering whether the Upper Skagit Indian Tribe is immune from a lawsuit a over a strip of land it bought on the border of its Washington state reservation. Work also continued across First Street at the Capitol building, where lawmakers are working to negotiate a government spending bill ahead of an end-of-week deadline. The Associated Press reported lawmakers are set to finalize the agreement on Wednesday morning. Courts across Maryland and Washington closed for the day, including both Maryland appellate courts and the DC Circuit. The weather service predicts up to 5 inches of snow could fall in the Washington metro area during the storm. According to the Virginia Department of Transportation, crews and salt trucks were deployed Tuesday night. Trucks were again making the rounds in the suburbs of Alexandria, Virginia Wednesday morning . In addition to federal offices, public schools from Alexandria City to Winchester County, some 100 miles from D.C., will be closed Wednesday. Private schools and colleges have also shuttered for the day. 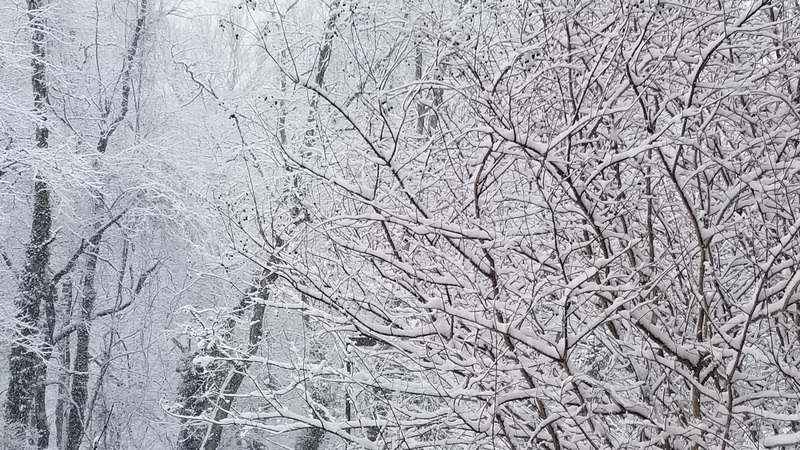 Whether the expected accumulation of snow will keep government offices and schools closed again Thursday has not been determined. According to VDOT, once two or more inches falls in the region, snow plow activity can be tracked online. The Washington Metropolitan Area Transit Authority has scaled back its service significantly Wednesday morning. Metrorail will run every 12 to 15 minutes and Metrobus is now on a severe snow plan. MetroAccess, a shared ride public transportation service for those with disabilities, has also cancelled any outbound trips.